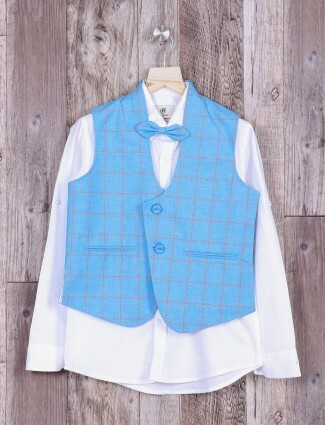 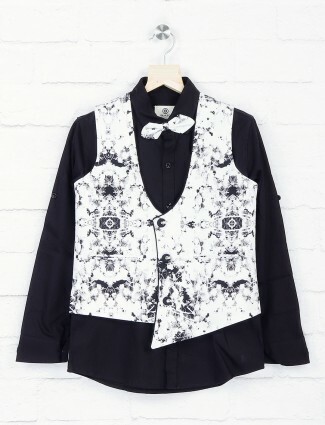 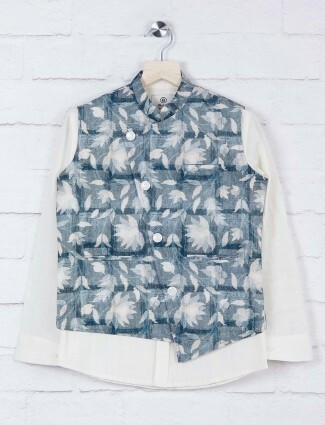 Boys waistcoat worn for the formal look or a special occasion gives boys’ a touch of sophistication. 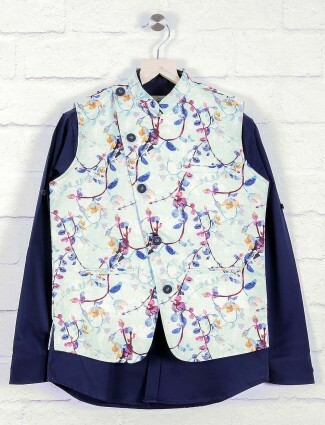 Can also worn at casual parties on jeans and chinos to bring a smart look. Waistcoat for boys in different fabrics like cotton and cotton blends, denims, velvet, jute and linens or other being bold to bring out the smartness of a simple outfit with various colours. 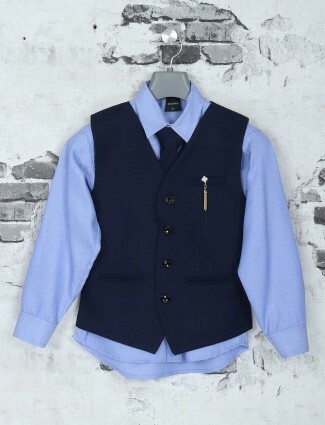 This fashion of boys waistcoat was got from mens fashion looks, of business and formal wear during the early 18th century when young boys also got the trend set of smart and formal wear. 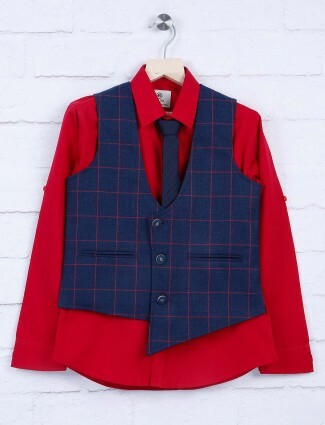 The fabrics then were of tweed and cotton or woolen which had boys from age 1-2 years, 3-4 years, 5-6 years and so on till 15-16 years to dress up with boys shirts and waistcoat. 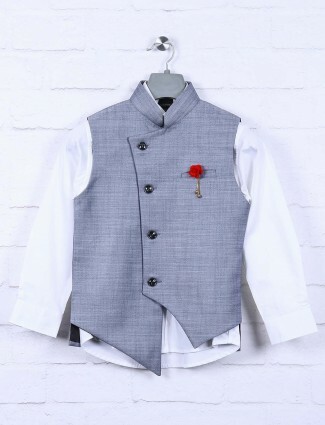 Now the fashion has currently created the same styles as inspired by men, like father and son dressing same patterns and fabrics to cuts has penetrated the waistcoat boys section for wedding and casual events at low prices which we have to offer at G3+ Fashion starting from INR 1200. 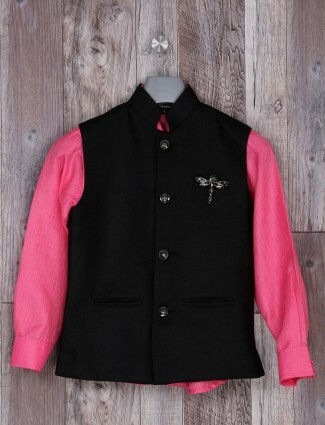 Nehru Jackets for boys brings a formal look with a new feel of comfort and glam. 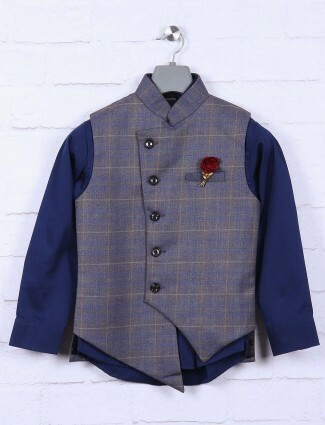 Weddings and occasions can have boys dressed up in waistcoats of 13-14 years and 15-16 years to get the charm of sophistication in dressing. 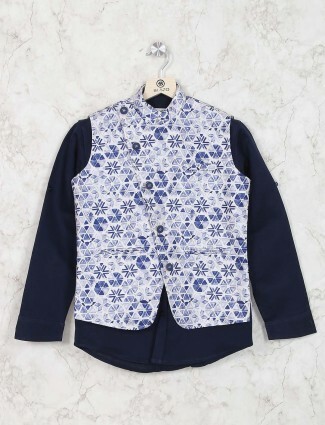 Fabric like cotton, Linen, jute, raw silk, cotton silk, velvet and imported fabrics have been used to create designer pieces for boys. 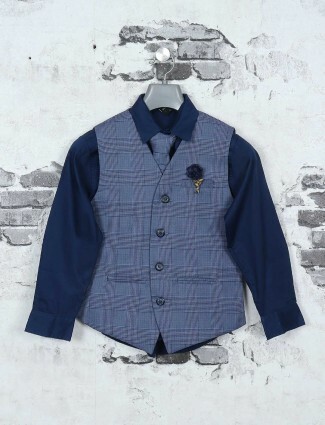 At G3+ we offer our tailored fit boys waistcoats and brand fit enhancing the look of the kids. 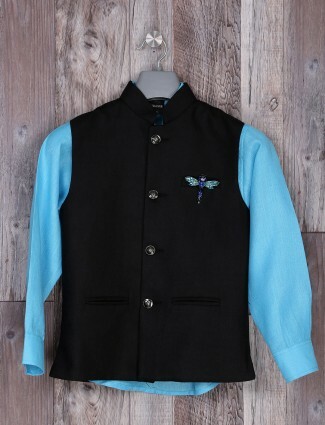 Pretty elegant designs to bring perfect ceremonial wear in latest styles from our online portal to buy from all cities in India like Surat, Ahmedabad, Mumbai, Pune, Delhi, Bangalore, Noida, Chennai, Chandigarh, Kolkata and many others. 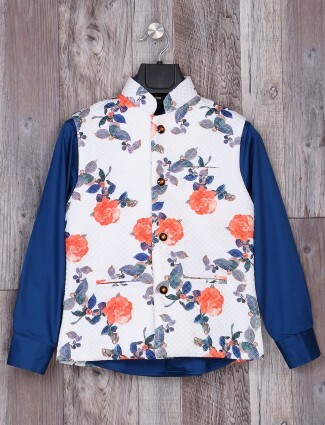 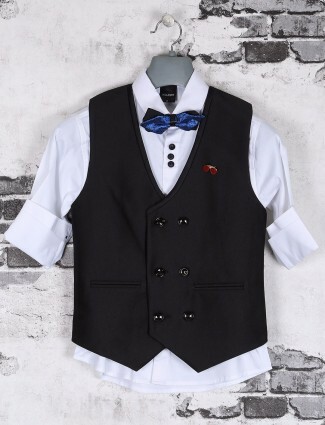 The need of formal dressing for boys has brought these young men to get smart looks, which trend in boys navy waistcoat, boys black waistcoat, boys grey waistcoat which are mostly preferred for boys wear. 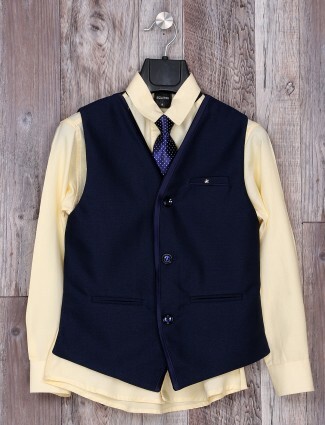 Boys Waistcoat in ethnic styles to western styles in low v-neck to wear with blazers or alone over a party shirt as well a black boys waistcoat will look great at parties and weddings, or get a trendy look with a denim waistcoat over a casual shirt for the party moods on a vacation, all types can be found on G3+ fashion by online shopping at very attractive prices. 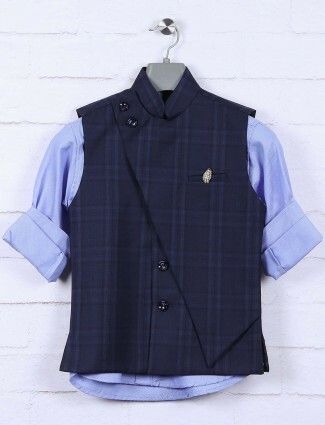 Our collection of boys waistcoats has elegant to stylish causal patterns, the collars in mandarin collar, flat collar, no collar waistcoats with pocket styles and button to match the whole look stun your occasions. 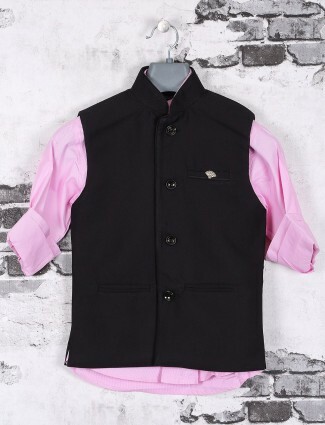 Now get the smart look for boys to wear on kurta or shirts and overlay with blazers to get the complete look. 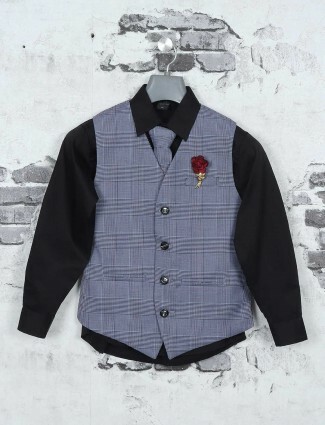 Little boys waistcoats to add the touch of smart and elegance of with the velvet waistcoat, linen waistcoat, and other kids waistcoats to wear as per their comfort and needs.